The Department of Automobile Engineering was established in the year 2011 with sanctioned intake of 60 students. The department has well-qualified and vast experienced faculty members with proven ability and administrative skills. The laboratories are well equipped with advanced research facilities that fulfill the needs of the UG/ PG students and research scholars. The department is actively involved in teaching and research in the areas of Alternate fuels, Chassis Design, Engine Electronics and related areas. To impart quality education and research in the field of Automobile Engineering by providing state of art facilities to transform the learners into successful entrepreneurs and achievers. To develop the department of Automobile Engineering into a “Centre of excellence” offering competitive education for students at various levels with hands on practices, enhancing their personal skills, emphasizing ethical values and helps them to meet the current challenges of the Automotive Industries. Automotive Electrical & Electronics Lab. Vehicle Maintenance & Re-conditioning lab. Two and Three Wheelers Lab. Automotive Components Design Lab for modeling and analysis using softwares like Pro/E WF, Catia, Solidworks, Ansys, etc. 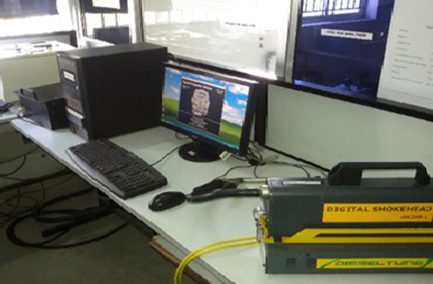 The lab has been established with the cost of around Rs.24,00,000/- which facilitates the research activities for the students and research scholars to perform Engine combustion analysis and emission characteristics on stationary and automotive engines under different operating conditions. This lab facilitates the students to provide the hands-on practices for servicing and repair of various automotive Systems and Engines. The lab has the following major Automotive Systems and Components. This lab facilitates the students by providing the hands-on practices for servicing and repair the two and three wheeler engine, Chassis and the Performance of Shock absorber etc. 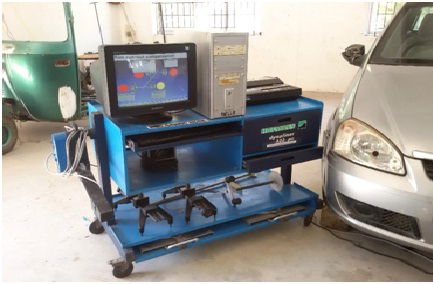 The lab has been established with the cost of around Rs.18,00,000 which facilitates the students to perform the Fuel pump Calibration, Wheel Balancing and alignment, Head light alignments and Engine fault diagnosis various engine Sensors etc. 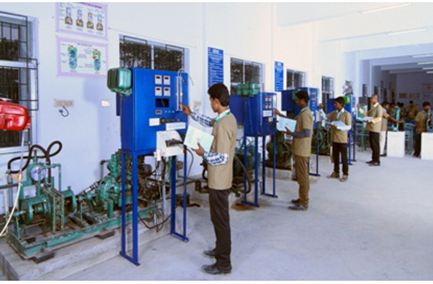 The lab has been established with the cost of around Rs.7.40,000 This lab facilitates the research activities for students to perform the measurements of various properties and characteristics of Fuels & Lubricating oil etc.. 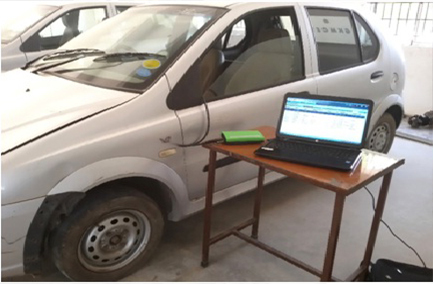 The lab has been established with the cost of around Rs.8,00,000 This lab facilitates the students to perform the fault diagnosis of alternator, starter motor, ignition system, electrical system, battery testing and Engine fault diagnosis of various engine Sensors etc. Vehicle maintenance and Re-condition lab. Fuels and lubricating oils testing Lab. Two and Three Wheeler Lab. The lab has been established with the cost of around Rs.24,00,000 which facilitates the research activities for the students and research scholars to perform Engine combustion analysis and emission characteristics on stationary and automotive engines under different operating conditions. The lab has the following major equipments. 3. Two and Three Wheeler Lab. This lab facilitates the students by providing the hands-on practices for servicing and repair the two and three wheeler engine, Chassis and the Performance of Shock absorber etc.. The lab has the following major Equipments for Two and Three wheeler Components. The lab has been established with the cost of around Rs.18,00,000 which facilitates the students to perform the Fuel pump Calibration, Wheel Balancing and alignment, Head light alignments and Engine fault diagnosis various engine Sensors etc..
6. Automotive Electrical and Electronics Lab. The department is actively involved in conducting Guest lectures and Workshops with the interaction of experts from various industries and institutions. The hands on training is given to the students in the areas of advanced Automotive Engine testing, Calibration and Service to enhance their practical skills. 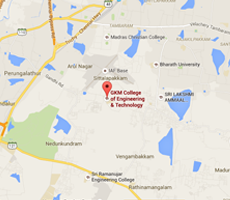 The students and staff has membership in professional societies like SAE INDIA, ISTE, etc. Our students are actively participating in various symposiums conducted by other institutions and won many prizes. The department faculty members participate in research activities so as to enhance their knowledge and skills in multidisciplinary fields. Some of the research topics are.